The preliminary design of the railway line Valencia - Alicante aims to connect the existing coastal arch between Alicante and Valencia with the General Interest railway network. 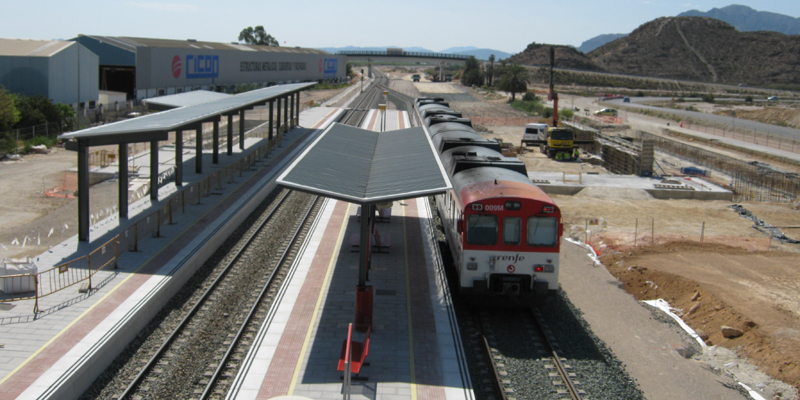 Furthermore, the feasibility of the Torrevieja’s railway link to the Railway network is analyzed. On one hand, the preliminary design of the Valencia to Alicante railway line is undertaken, including both the development of different alignment alternatives for the future railway line and the advising on Public Information procedures until the final approval of the preliminary design. The study works out a new rail connection of about 200 kilometres. On the other hand, the work aims to analyze the feasibility of a railway link starting from the future high speed line Alicante – Murcia providing access to Torrevieja’s city centre. Both technical and economic feasibility of this link will be analyzed. This study works out a new railway infrastructure of about 30 kilometres. The work also comprises the completion of the Demand Study of the railway link to Torrevieja and the review of the Demand Study of the railway line Valencia – Alicante, as well as an analysis of rail traffic and a complete mobility report of the future railway system.